Although Stephen King has not lived in the house located at 664 River Road, Orrington, Maine, since 1979, the house plays a large role in the horror genre. 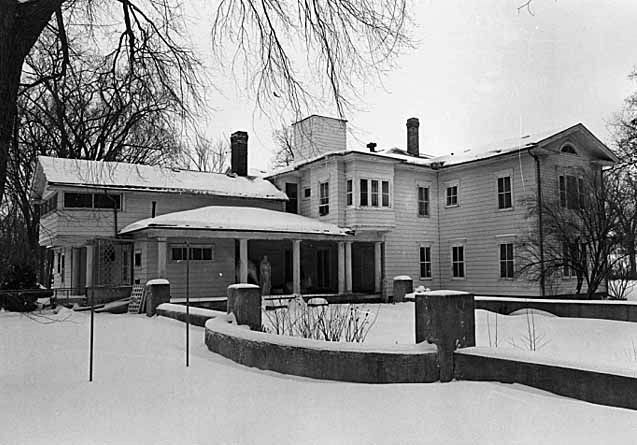 King rented the house while he was a writer-in-residence at the University of Maine—Orono. The house sits along a busy highway, a negative for selling; however, it inspired one of King’s most popular novels Pet Sematary. The 4 bedroom/3 bathroom house sits on 3 acres. Built in 1904 it features hardwood floors, custom built-in shelving, two fireplaces, and a spacious sunroom. It’s listed at $255,000. King’s daughter, Naomi, had a cat named Smucky who was killed by a truck. The family buried the cat in the pet cemetery that borders the rear of the property. Inspiration struck and King began writing his book. The novel debuted in 1983 and became a best-seller. It was adapted to a film in 1989. The production budget was $11.5 million. Combined movie ticket and DVD sales total more than $83 million. It spawned a sequel. Although the film was shot in Maine, a different house was used. King often states this is the book that scares him the most. Luckily, he does not remember the house as sinister or evil. Actually, he barely remembers the house…only the busy highway. Log on to Zillow.com to view pictures. Hopefully, one of you purchases the property. It would make a fantastic bed and breakfast. My wife had to put up that posting so very fast, never in a million years did I think I was going to have to be concerned with so many people knowing me in the emergency room and they started texting and posting so I told my wife to post something so our family and friends did not see something that was incorrect in a posting, we all know how that go’s. But I am home now and doing good, thank you all for all the prayers and positive energy. Zaffis is very well-known in the paranormal community and has gained a new following from his hit TV show Haunted Collector (2011-2013). The show featured Zaffis and his team investigating paranormal activity, oftentimes identifying the source attached to an object. Zaffis collects the objects and houses them at the John Zaffis Paranormal Museum, which opened in 2004. I blogged on February 6, 2015, https://thehauntedlibrarian.com/2015/02/09/zaffis-may-purchase-former-funeral-home-for-museum/, that Zaffis is finalizing plans to relocate the museum to a former funeral home. The property would contain a gallery and conference space for special workshops. To my knowledge, this project is still moving forward. Zaffis, nephew of Ed and Lorraine Warren, is a respected Demonologist and has consulted and investigated thousands of cases. Further, he has appeared on several TV shows and makes frequent conference appearances. Most notably, he is one of the sweetest people working in the industry. For more information, check out his Website, http://www.johnzaffis.com/. The home used as the set for Paranormal Activity is for sale. The 4 bedroom 2 ½ bath home is listed for $749,000. The home is not haunted; however, it was the set for the first two movies in the popular franchise. Neighbors say that the home is really nice and assure reporters that there is nothing extraordinary paranormal about the house. Nestled in the Ranchos Penasquitos neighborhood, the home features a pool and landscaped backyard. Owner Oren Peli, writer/director, filmed the first two installments of the PA franchise at the home. He specifically remodeled the home for the first movie. With a deep discount budget of $15,000, the original Paranormal Activity grossed over $100 million dollars. The franchise remains popular. For those looking to buy a piece of horror movie history, look up this property. Buyer Beware: Ask the realtor for confirmation on paranormal history—or the lack thereof. Anyone in the market to buy a house missed a golden opportunity in Louisville, Kentucky. The Ouerbacker-Clement House went up for tax sale and sold for the unbelievably bargain price of one dollar. Remarkably this is not the first time the mansion sold for a buck. The Ouerbacker-Clement House was built in the 1860s for coffee merchant Samuel Ouerbacker (1841-1922). 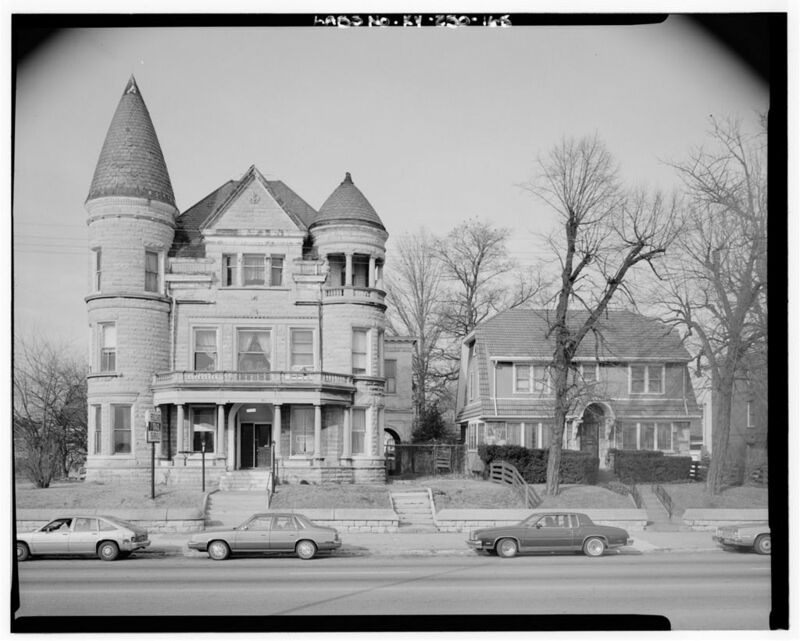 Built in the Richardsonian Romanesque style, the mansion sits in the Russell neighborhood. Ouerbacker resided in the mansion until his death in 1922. The next resident was Reverend George Clement, a bishop in the African Methodist Episcopal Church. The house was rezoned and a tax preparation business set up shop afterwards. Ironically, the house went for auction for unpaid taxes. An architect purchased the home with the intent to restore the abandoned, dilapidated home; however, he was unable to see his vision through to fruition. Reportedly haunted, the mansion sits across from a cemetery. Oracle Design purchased the home. The company has acquired several properties in this neighborhood. Plans include restoration and division of the mansion into apartments. Sorry I missed this bargain!